Whether you're manufacturing tools or performing heavy-duty mechanical work, you're likely to perform a wide range of tasks and therefore be exposed to a number of hazards. 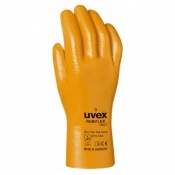 The Uvex NK4022 40cm Heat-Resistant Aramid Safety Gauntlets are designed to improve your grip in dry, damp and oily conditions while also protecting your hands against direct contact with hot objects. 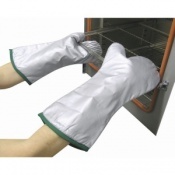 The gloves are 40cm in length to protect your forearms as well as your hands. The product code for these gloves is 60202. 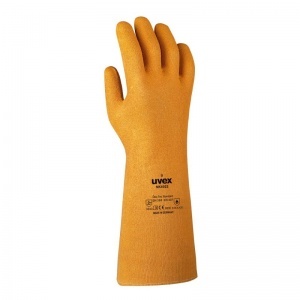 The Uvex NK4022 40cm Gloves have been tested to EN 388, which is the European standard for gauging the resistance of a glove against mechanical hazards. Please see the table below to find the results of these gloves. 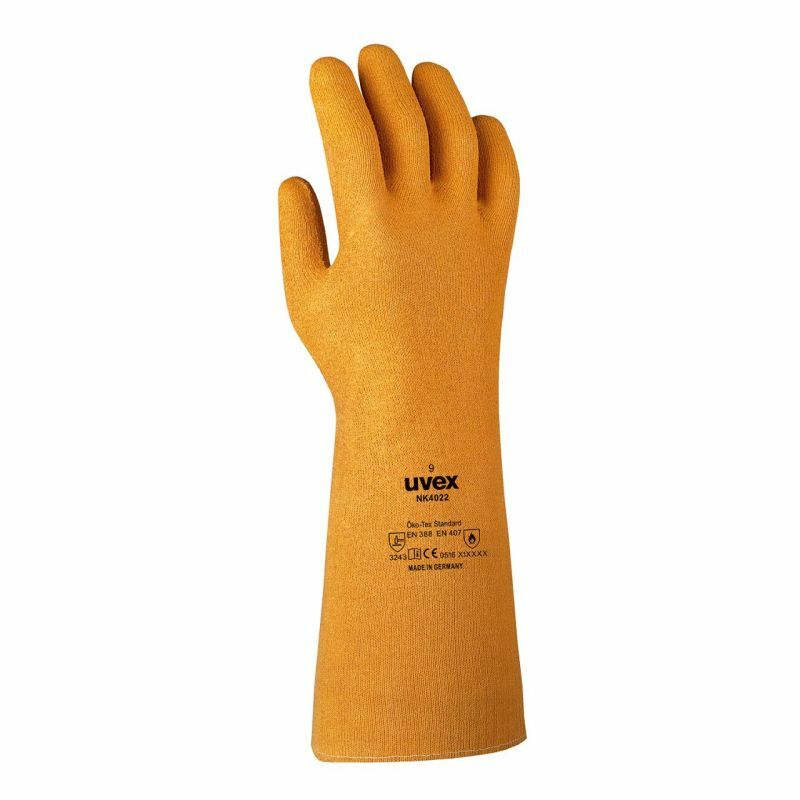 These gloves have been tested to EN 407, which is the European standard for gauging the resistance of a glove against high temperatures. Please see the table below to find the results for these gloves. Available in two different sizes, the Uvex NK4022 Heat-Resistant Gauntlets provide you with a personalised fit. To find out which size you require, simply measure the circumference of your hand around the knuckles (excluding the thumb) with your hand open and your fingers together and consult the table below. Learn about the process behind EN 388 testing by watching the video below. This particular video outlines the process involved in testing the extent to which your gloves are resistant to cuts.